JOHANNESBURG, (CAJ News) – THE Nokia 2 is now available in South Africa. It is accessible through leading retailers nationwide on the Vodacom network from R1 699 (US$117). 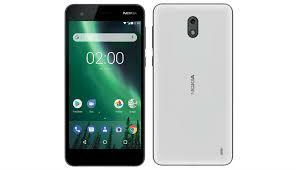 “Fans associate Nokia phones with great battery life and we are proud to take this to a whole new level with the Nokia 2,” Shaun Durandt, General Manager for Southern Africa at HMD Global, said. Finland-based HMD Global is the home of Nokia phones. “We don’t think you should have to limit your smartphone use when out and about,” Durandt said. The device boasts a 4100 mAh battery, 8MP rear camera and 5MP front camera. It runs on the Android 7.1.1 (Nougat) but there is a planned upgrade to Android 8.0 (Oreo).